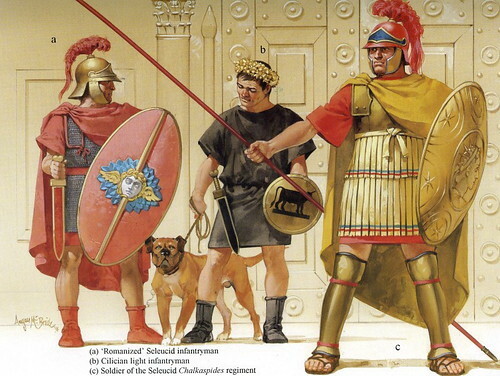 I found this image of Seleucid Greek warriors online. The Seleucid Empire (323 - 60 BC) was a Hellenistic successor state of Alexander the Great's dominion. Collecting information about the military force that fought the Seleucid Empire and became a symbol of Hanukkah (Chanukah). What did a Maccabee soldier look like? What weapons did the Maccabees use? Who did the Maccabees fight against?